We hear a lot about the importance of a good credit score. But how much does a credit score – and credit history – really matter anyway? For most consumer loans – and especially credit cards – credit history is not all that important. In fact, most people start their life with credit with a credit card. Thus, most people are capable of finding at least one credit card company that will accept their business despite having no real credit history. The same is also true of auto lenders. Because most car loans are relatively small, and because each car loan is backed by collateral (the car), lenders are generally very willing to lend to someone with no credit history. The most important thing for a small, asset-backed loan is that the borrower actually has the income and cash flow necessary to make the monthly payment. A sizeable down payment doesn’t hurt, either. 1. Loan size – Mortgages are huge; some are 10-20 times the size of the average car loan. This immediately makes bankers sweat. 2. Down payment – It’s relatively easy to put 10% down on a $10,000 car. It’s not so easy to put 10% down on a $300,000 home. Thus, most mortgages are written with low down payments, increasing a bank’s risk in the loan. 3. Term – A mortgage is a long term loan. Car loans amortize in 7 years or less (5 years in most cases.) 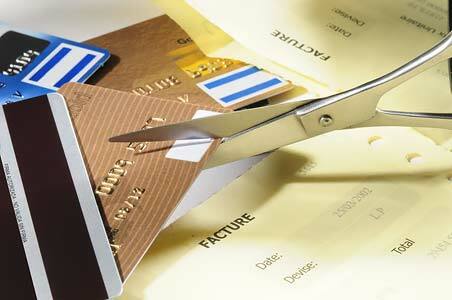 A credit card should amortize in fewer than 6 years. Mortgages can last up to 30 years. If you have no credit history right now, the best thing you can do is open a credit card account to build credit history. By starting right now, you’ll have the history you need when you’re ready to finance a major purchase.